The RYA is delighted to welcome Ocean Elements and Alpine Elements to the RYA Member Reward Partner programme, which provides RYA members with access to exclusive offers and discounts from more than 70 Reward Partners. Ocean Elements offers Beach Club and Yacht Holidays in Greece, both on the mainland and islands. All the Beach Clubs have RYA qualified staff, offering training along with a wide range of dinghies, windsurfers, kayaks, and SUPS, as well as mountain bikes. 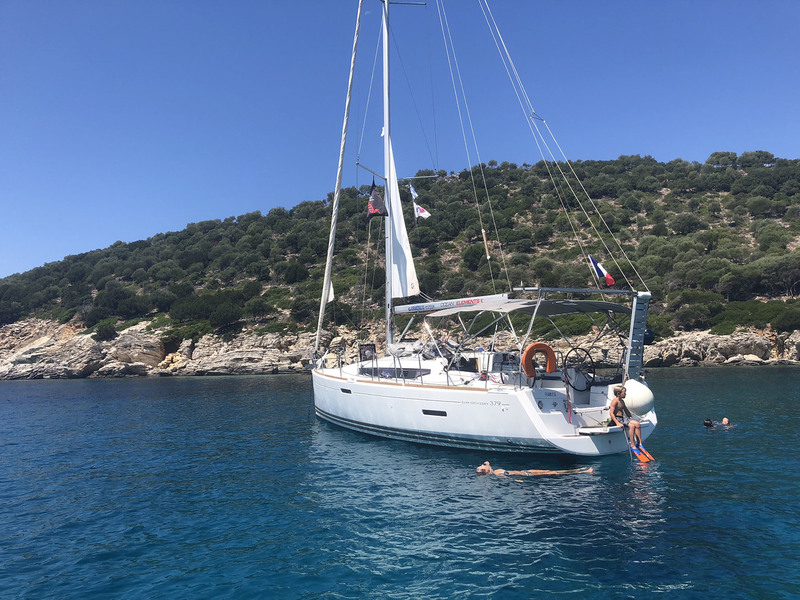 While from their Greek Mediterranean base, their modern yacht fleet offers boats for all group sizes, either as part of our own flotillas, or as bareboat charters. RYA members will enjoy an additional 5% discount for Beach Club Holidays and 10% discount on Yacht Holidays, on top of any other deals on offer from Ocean Elements' at the time of booking. While members' looking for some shore based action, Alpine Elements' Ski and Snowboard and Summer Activity holidays could be the perfect choice. Alpine Elements have been providing Ski and Snowboard holidays to the French and Austrian Alps for over 18 years. Covering all the top European resorts and ski areas across the Alps, with a huge range of accommodation from Self Catered Apartments to Catered Chalets and Hotels, as well as great value All Inclusive Packages. Alongside their Ski and Snowboard holidays Alpine Elements also offer Summer Activity Holidays in the French Alps, based in Morzine, Tignes, Val d'Isère and Les Gets. These holidays include a plethora of free activities from white water rafting to mountain biking. RYA members will enjoy an exclusive 5% discount on both Ski and Snowboard and Summer Activity holidays in addition to any of Alpine Elements' current holiday offers. "We are very proud to be an RYA Member Rewards Partner, we believe in the same values of getting more people out on the water in a fun and safe environment. We strive in making our Flotilla's and beach clubs as accessible and enjoyable as possible and to help complete beginners find their passion for yachting, sailing, windsurfing or skiing alike." commented Mark Bennett, Head of Marketing for Ocean Elements and Alpine Elements. "Because these discounts are in addition to other offers, they are only available when booked by an RYA member", Mark added.